Experience Sunday morning on Sunday night! 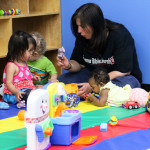 No matter what age your child is, we have services that are designed just for them. They will have fun, they will learn something, and they will be safe! The goal of our children’s ministry, Rhema Kids, is to “know God, love God, and take God to your world.” We help kids know and love God. Children’s services will be provided during services! 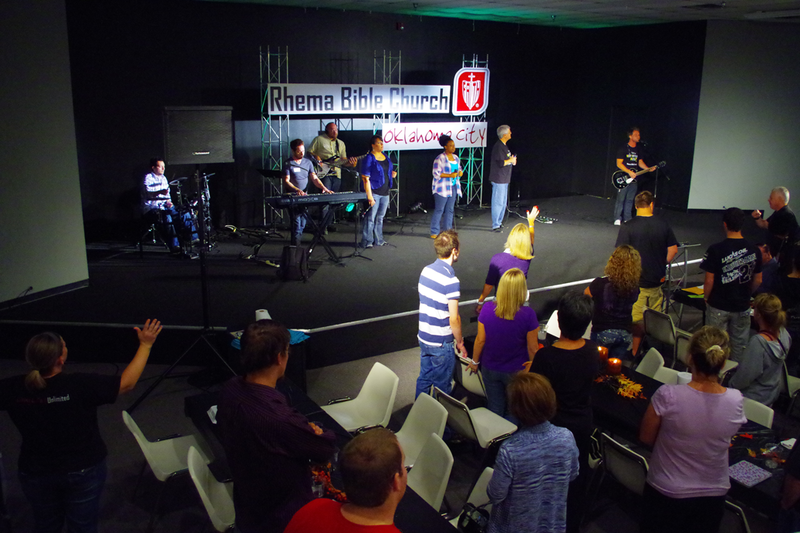 Rhema Bible Church Oklahoma City Youth meet the first and third Sunday of every month. 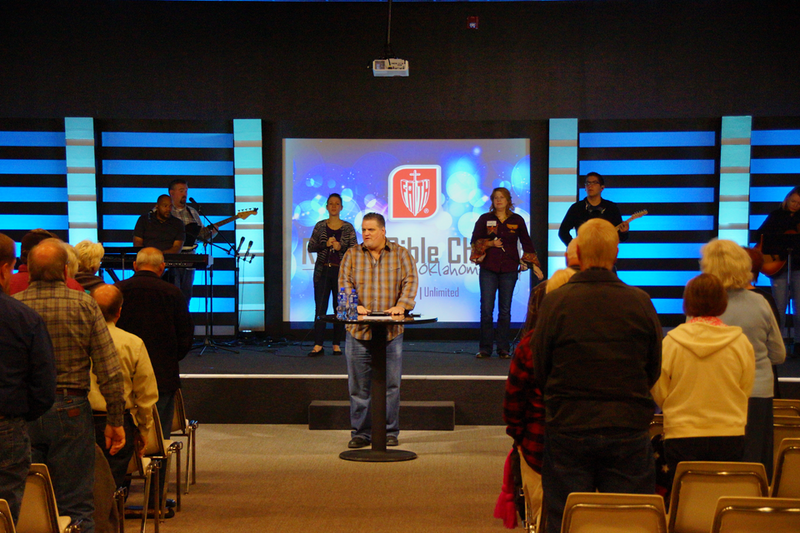 Services include awesome praise and worship, solid Bible teaching, and small group discussions. We also offer once-a-month social activities as well as retreats and summer camps. 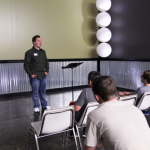 Our youth group is a great place to meet new friends while developing a deeper relationship with God. So come join us as we journey together through this life! 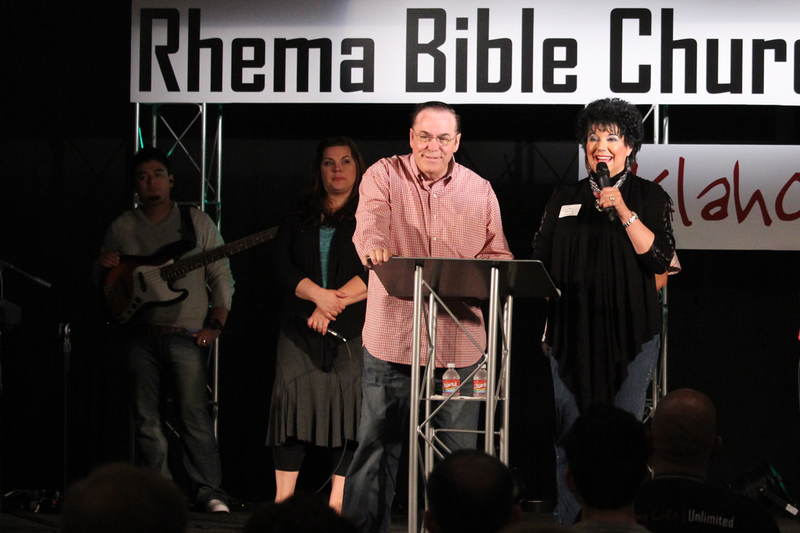 Welcome to Rhema Bible Church! Thank you for visiting our site and taking the time to find out what we’re all about. We are a growing, multicultural church that welcomes everyone who comes through our doors—just as they are. Our message is simple: You can make it! You can live the abundant life that Jesus has already provided. It’s a life overflowing with joy, provision, and health. In other words, life|unlimited. That means no matter your situation in life, no matter where you’ve been or what you’ve experienced, we’ve got something for you. 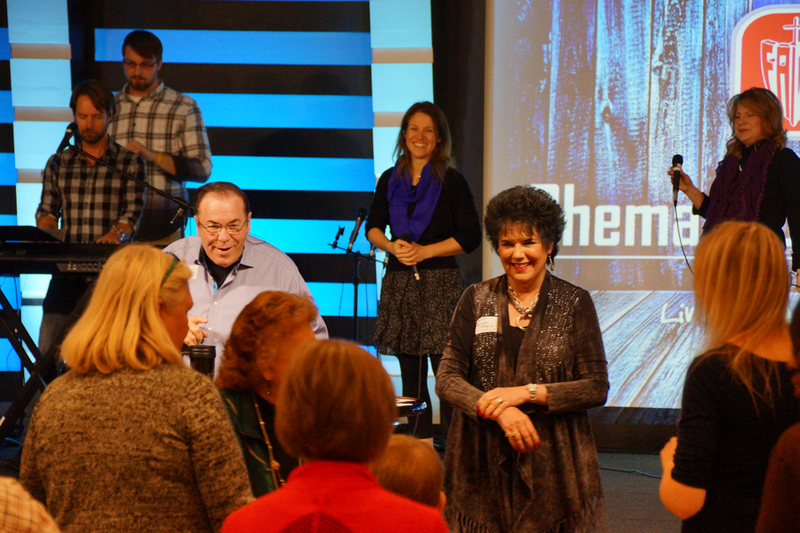 We hope to see you in a service very soon, because unlimited fun, fellowship, and victory are just a step away! Senior pastor of Rhema Bible Church since its inception in October 1985, has been in ministry Over 50 years. On Sunday mornings and Wednesday evenings, he often shares his personal motto, “I cannot be defeated, and I will not quit” and tries to impart that attitude into his congregation. 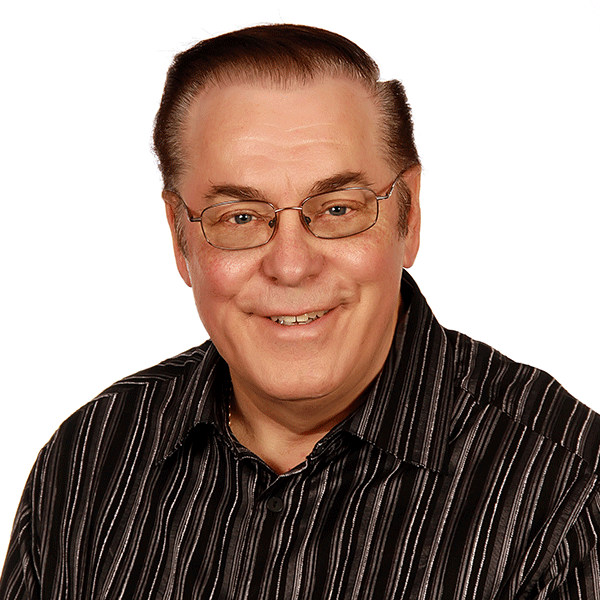 Pastor Hagin wants members of his church to be successful in every area of life—spiritually, physically, emotionally, and financially. He often ministers with a strong healing anointing, and his ministry helps lead believers into a deeper relationship with their Heavenly Father. Craig reaches today’s generation with a fresh, practical approach to sharing biblical principles. He teaches extensively on faith and ministers with a strong healing anointing. 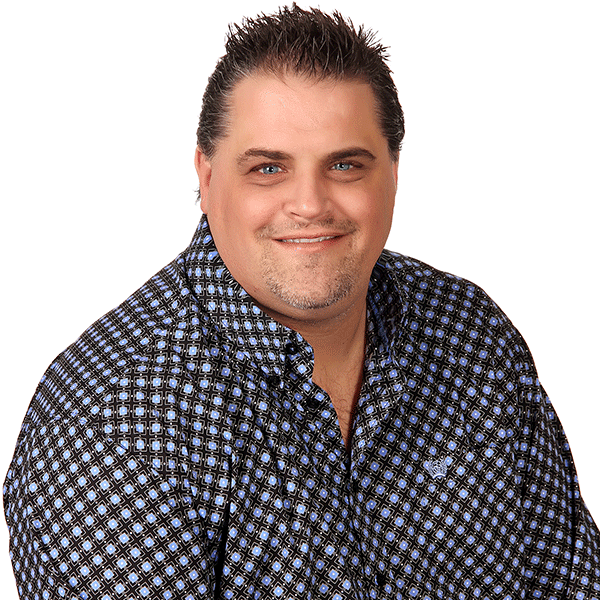 He serves as Chief Operating Officer for Kenneth Hagin Ministries and is an instructor in Rhema’s Prayer and Healing School and at Rhema Bible Training College. Craig received a bachelor’s degree from Oklahoma State University in 1991 and graduated from Rhema Bible Training College in 1993. Craig and his wife, Mia, and their children live in Tulsa, Oklahoma. —The Bible is the inspired Word of God, the product of holy men of old who spoke and wrote as they were moved by the Holy Spirit. The New Covenant, as recorded in the New Testament, we accept as our infallible guide in matters pertaining to conduct and doctrine (2 Tim. 3:16; 1 Thess. 2:13; 2 Peter 1:21). —Our God is One, but manifested in three Persons—the Father, the Son, and the Holy Spirit, being coequal (Deut. 6:4; Phil. 2:6). God the Father is greater than all; the Sender of the Word (Logos) and the Begetter (John 14:28; John 16:28; John 1:14). The Son is the Word flesh-covered, the One Begotten, and has existed with the Father from the beginning (John 1:1; John 1:18; John 1:14). The Holy Spirit proceeds forth from both the Father and the Son and is eternal (John 14:16; John 15:26). —Man is a created being, made in the likeness and image of God, but through Adam’s transgression and fall, sin came into the world. The Bible says “…all have sinned, and come short of the glory of God,” and “…There is none righteous, no, not one” (Rom. 3:10; 3:23). Jesus Christ, the Son of God, was manifested to undo the works of the devil and gave His life and shed His blood to redeem and restore man back to God (Rom. 5:14; 1 John 3:8). —Man’s first step toward salvation is godly sorrow that worketh repentance. The New Birth is necessary to all men, and when experienced, produces eternal life (2 Cor. 7:10; John 3:3–5; 1 John 5:12). —Baptism in water is by immersion, is a direct commandment of our Lord, and is for believers only. The ordinance is a symbol of the Christian’s identification with Christ in His death, burial, and resurrection (Matt. 28:19; Rom. 6:4; Col. 2:12; Acts 8:36–39). —The Baptism in the Holy Ghost and fire is a gift from God as promised by the Lord Jesus Christ to all believers in this dispensation and is received subsequent to the new birth. This experience is accompanied by the initial evidence of speaking in other tongues as the Holy Spirit Himself gives utterance (Matt. 3:11; John 14:16,17; Acts 1:8; Acts 2:38,39; Acts 19:1–7; Acts 2:1–4). —The angels said to Jesus’ disciples, “…This same Jesus, which is taken up from you into heaven, shall so come in like manner as ye have seen him go into heaven.” His coming is imminent. When He comes, “…The dead in Christ shall rise first: Then we which are alive and remain shall be caught up together with them in the clouds to meet the Lord in the air…” (Acts 1:11; 1 Thess. 4:16,17). —Following the Tribulation, He shall return to earth as King of kings, and Lord of lords, and together with His saints, who shall be kings and priests, He shall reign a thousand years (Rev. 5:10; 20:6). —The one who physically dies in his sins without accepting Christ is hopelessly and eternally lost in the lake of fire and, therefore, has no further opportunity of hearing the Gospel or repenting. The lake of fire is literal. The terms “eternal” and “everlasting,” used in describing the duration of the punishment of the damned in the lake of fire, carry the same thought and meaning of endless existence as used in denoting the duration of joy and ecstasy of saints in the Presence of God (Heb. 9:27; Rev. 19:20). —The Bible teaches that without holiness no man can see the Lord. We believe in the Doctrine of Sanctification as a definite, yet progressive work of grace, commencing at the time of regeneration and continuing until the consummation of salvation at Christ’s return (Heb. 12:14; 1 Thess. 5:23; 2 Peter 3:18; 2 Cor. 3:18; Phil. 3:12–14; 1 Cor. 1:30). —Healing is for the physical ills of the human body and is wrought by the power of God through the prayer of faith, and by the laying on of hands. It is provided for in the atonement of Christ, and is the privilege of every member of the Church today (James 5:14,15; Mark 16:18; Isa. 53:4,5; Matt. 8:17; 1 Peter 2:24). Stay close to a faith filled atmosphere and listen to faith building messages from God’s Word at your convenience!